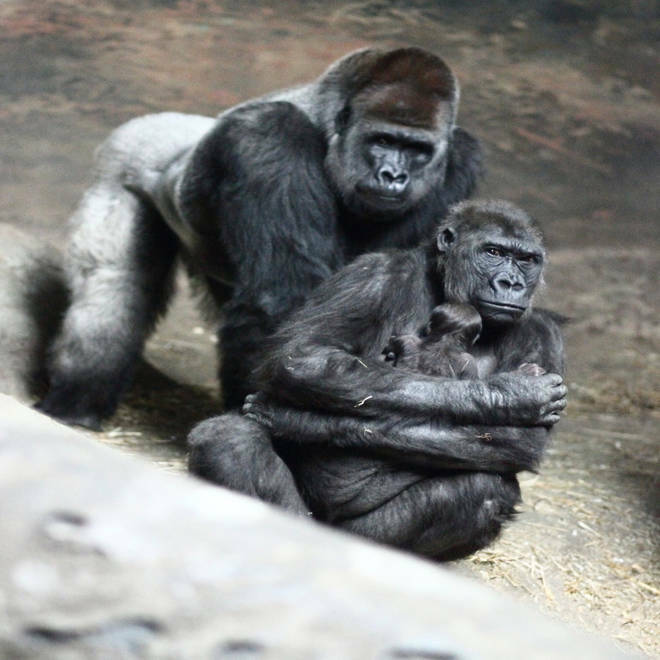 The look on a new mother's face is the same, whether the mom is human... or a gorilla. 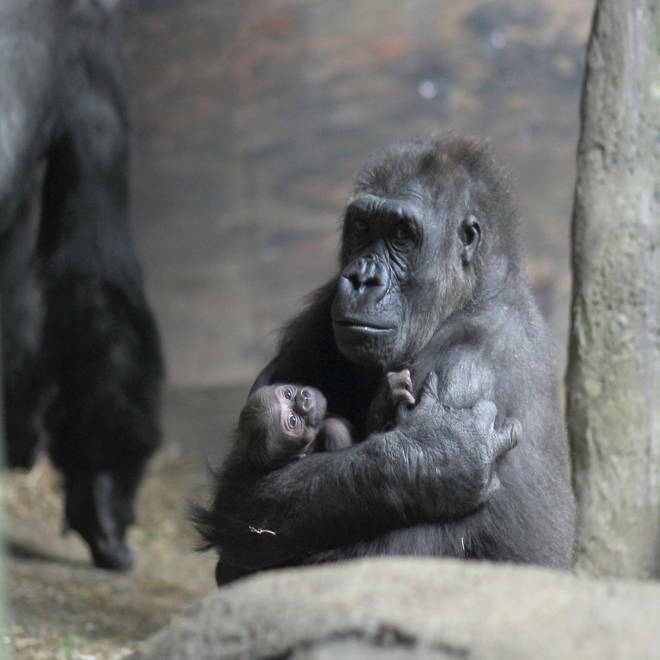 The Pittsburgh Zoo is lucky to have a new gorilla baby in their tropical forest. Zoo representative Tracy Gray has confirmed the gender of the baby, and it's a boy! Moka, a first-time mom, is doing very well. 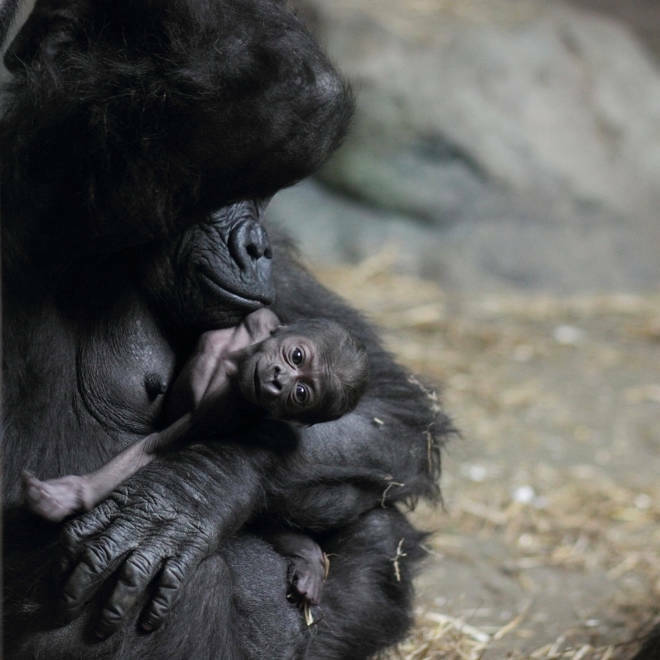 Her baby is the first gorilla born at the zoo since 2001. 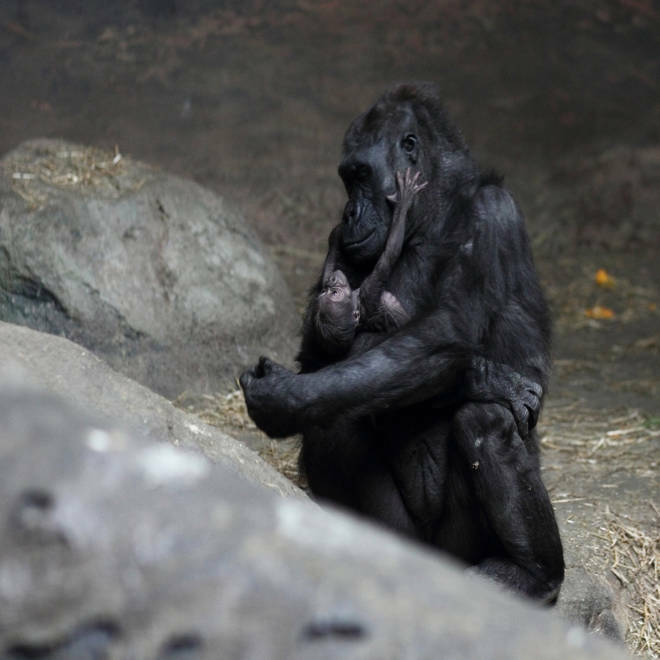 His father, Mrithi, is the first gorilla ever born at the Pittsburgh Zoo & PPG Aquarium, so this little one is second generation. Right now, mom Moka likes to hold the baby tight against her chest. He is becoming more animated and moves around more in her arms. At about 6 months of age, he will move to his mother's back ,where he will stay until he is stronger and old enough to walk and move about on his own. Dad Mrithi watches over his new family, and the rest of the gorilla troop are curious, but are waiting on signals from mom on when they can get near the baby. The baby was born on Thursday, Feb. 9, in the early morning hours. TODAY.com multimedia producer Mish Whalen, a mom of two, often refers to her kids as baby monkeys.